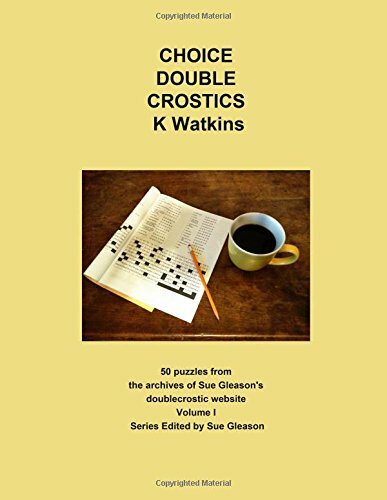 What is a Double Crostic? 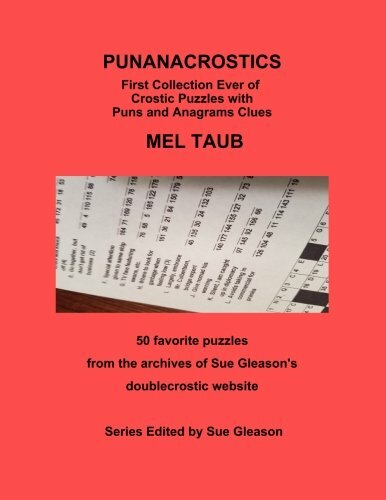 It is a word puzzle in which you enter answers to "Across" clues only. The letters in these answers are automatically rearranged to form a quotation. There are no "Down" clues. By convention, the initial letters of the answer words form an acrostic reading down and citing the author and title of the quote. You may enlarge the puzzle like any other image in your browser - by clicking ctrl and plus keys on Windows computers, or Apple and plus keys on Macs. Similarly, use ctrl (or Apple) and hyphen to reduce the size. To get to the next clue, use the down arrow if available. Otherwise, click another square in the acrostic row. 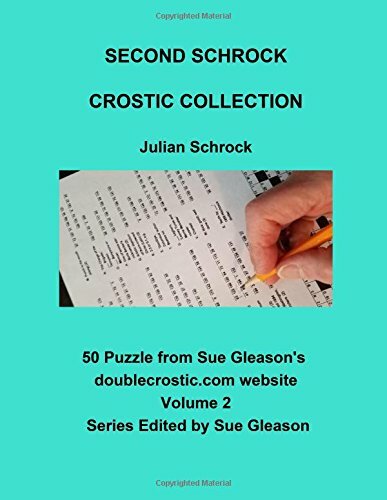 and Volume 2 of CROSTIC COLLECTION, by JULIAN SCHROCK. Also, CHOICE CROSTICS, by K WATKINS. And volumes 1,2 and 3 of the Taub series, volume 1 of the Schrock series, and the first SUDOKU volume.